Cheers to the mighty Eagles! 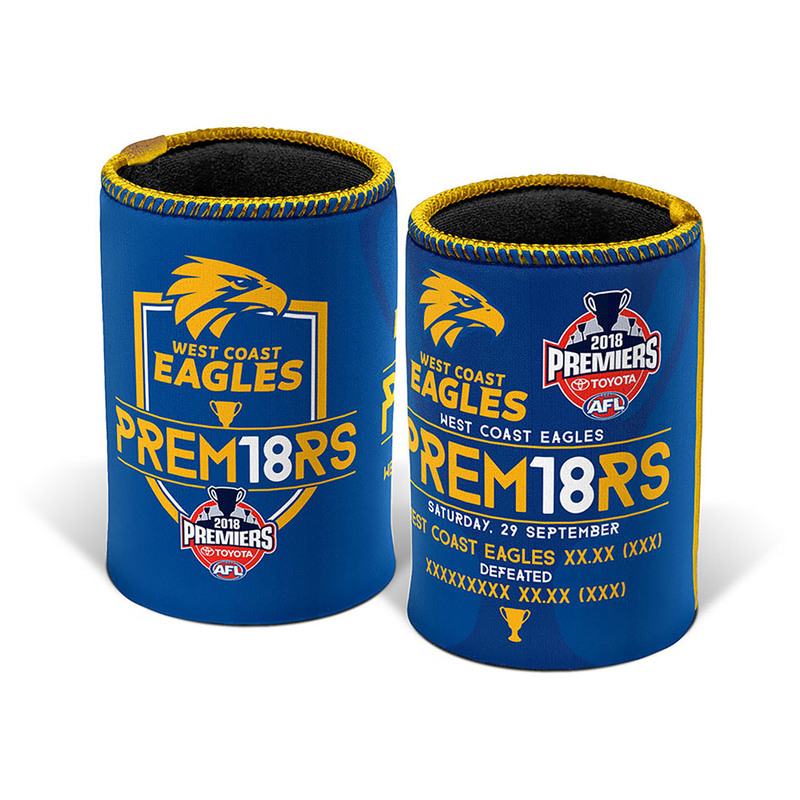 Put your favourite beverage into this West Coast Eagles 2018 Premiers Stubby Holder and drink to the success of the mighty Eagles. This baseless neoprene stubby holder holds a standard 375mL can or bottle. 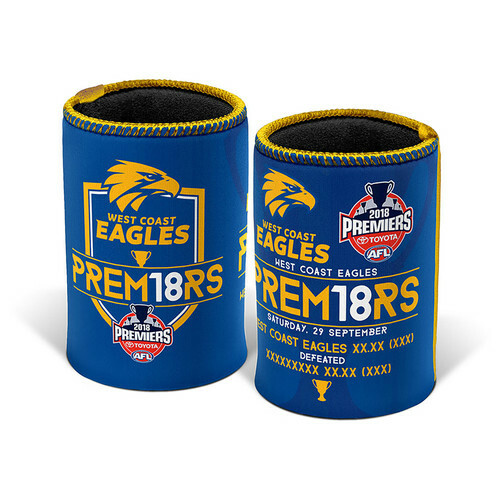 With the Eagles premiers logos on the front, and the final score on the back, you'll be reminded of the historic 2018 Grand Final for years to come.